The growth of the game industry in China since the turn of the millennium has been truly astounding. Internationally recognized and award winning Chinese designers find themselves in high demand with game giants such as Electronic Arts and Ubisoft opening branch offices in China to recruit research and development teams as well as production staff. Often the unsung heroes of the industry – regardless of derivation – game designers spend countless grueling hours creating compelling characters through which we inhabit virtual worlds. 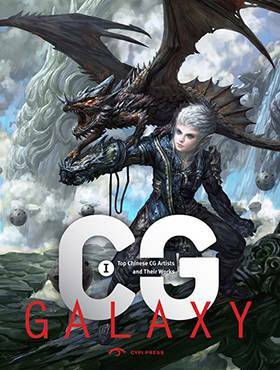 The artists collected in this second volume of CG Galaxy give voice to their imaginings through thoughtful interviews and galleries of their artwork created in a variety of mediums, including sculpture.